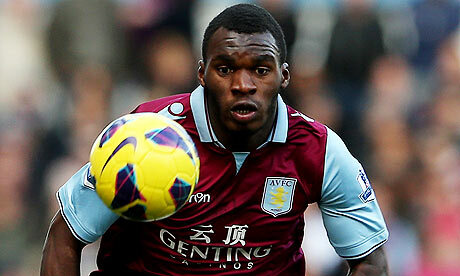 Aston Villa will offer Christian Benteke a new contract in the hope of staving off interest from rival clubs. Benteke has two years to run on his existing deal but there is a buyout clause, believed to be in the region of £32.5million, which could tempt clubs to make a bid for the striker. Villa, however, want to keep hold of their prized asset and are prepared to offer him a new deal. “There has been a lot of speculation and I’m not going to contribute to it or play any of our transfer strategy out in the press,” chief executive Tom Fox said at the Sport Industry Breakfast Club. Fabian Delph signed a new four-and-a-half year contract in January and Fox is hopeful that Benteke will follow suit. “If Christian wanted to leave, would we stand in his way? I think to make a blanket statement about a player wanting to leave is very difficult,” Fox said. “Every player has individual aspirations and the relationship they have with the club is different. “Look at what happened with the re-signing of Fabian Delph, no-one would have thought that was possible or even something he should have done and yet he did it.